Spc. Julio Muñoz was TEDD MWD Sgt. Ben R660’s first handler. The two partners were trained together by Vohne Liche Kennels in early 2011 before deploying to Afghanistan from June 2011 – April 2012. When they returned to the United States, Julio only had a few minutes to say goodbye to his sweet Ben. Julio shares, “I would first like to give a big thanks to the Scarborough family who adopted Ben, a retired MWD (military working dog). Thank you, Betsy Hampton and the team from Justice For TEDD Handlers, for helping our four-legged heroes be reunited with their handlers who have served our country and protected our soldiers. These MWDs save thousands of lives by finding IEDs overseas in the war on terrorism. During my service as a TEDD K-9 handler with Ben in Afghanistan in 2011, having him by my side was the best thing that could have happened to me. He was not only a bomb-sniffing detection dog, but a friend and companion during the good and bad times, not only for me but for everyone who was around us. 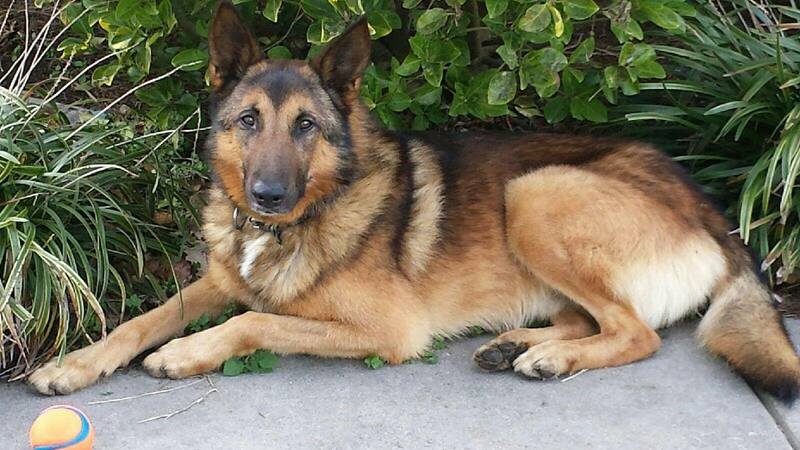 Ben was always a loving and friendly dog to everyone. He gave our soldiers peace of mind on the battlefield by doing his job as a tactical detection dog and comforting our soldiers by helping them mentally to relieve stress during our down time. On February 10, 2014, I adopted a TEDD. I brought home MWD Ben R660 after a long day of Army-sponsored adoptions held at K2 Solutions. Little did I know that on that day, my family’s lives were about to change. We’ve adopted dogs before. Some dogs have adopted us. However, this dog was different. I knew of his past service in Afghanistan. I had read the deployment copy of his medical record cover to cover. Obviously his resume is impressive. 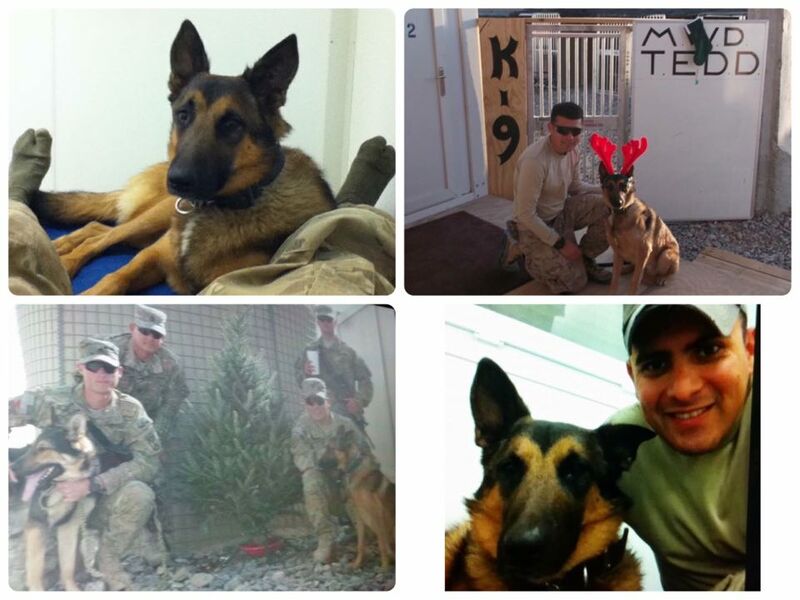 We quickly grew to love Ben; Ben the retired MWD. Shortly following adoption, we just knew that there had to be a handler that was somewhere in this world missing Ben in the worst of ways. We had been told that the previous handler couldn’t be located and Ben had been passed over by LEAs. So, we set out on our own personal search for Spc. Julio Muñoz. We talked with other MWD groups; all of which graciously assisted with our search. As much as we love this dog, we knew Julio must be longing to touch and shower affection on the four-legged creature credited with saving his life. Then along came Justice for TEDD Handlers. Their dedication to reuniting handlers and dogs is unbelievable. Through many unselfish hours of talking and networking with other handlers, they found Julio! Exactly 2 years and 1 day following the adoption, I was on the verge of making contact with Julio. As Justice for TEDD Handlers worked to unite us, my heart was pounding and the tears were flowing. What do you say to the person who likely was looking for their dog, their companion, their protector? Nervously, I reached out to Julio thanking him for the honor of caring for HIS dog for the past two years. It truly is his dog!!! They’ve been to war together. We’ve been to the beach together. The experiences just don’t compare. However, Julio requested that Ben stay with us. I would have driven the dog to him this weekend if he had asked for his dog — and he knows that at any time, he can change his mind. Meanwhile, we will share pictures, videos and stories with the hopes of a face-to-face meeting in the future. I’m humbled that he thinks enough of our family to leave Ben in our care. Spc. Muñoz and Ben, you are our heroes. 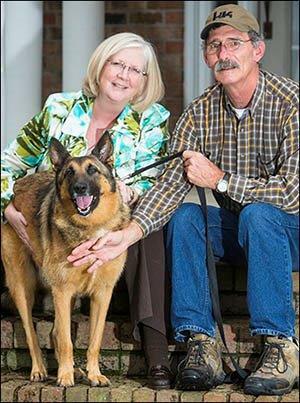 Thank you for allowing us to honor you by continuing to care and love for the dog that saved your life and the lives of many other men and women. To Justice for TEDD Handlers: even when faced with adversity, please do not stop this important work. The work is not complete until every TEDD handler is afforded the same opportunity that has been given to Julio and our family. Carry on, faithful servants! With tears, we share this amazing and compassionate story with you and applaud the Scarborough family for reuniting Ben R660 with his handler Julio Muñoz. This couldn’t have been easy, but Kim Scarborough sets a shining example of doing what is right. Since K2 Solutions is mentioned again in this story, we stress that the TEDD dogs were owned by the Army. Those responsible for the February/March 2014 adoptions were with the Office of the Provost Marshal General (OPMG), which ran the adoptions and called the shots. K2 Solutions is not to blame for this, and we stand by that. Our love and support go out to the Muñoz and Scarborough families.